Advanced Audio Recorder (aka Audio Recorder and Editor) records and edits high quality audio file. 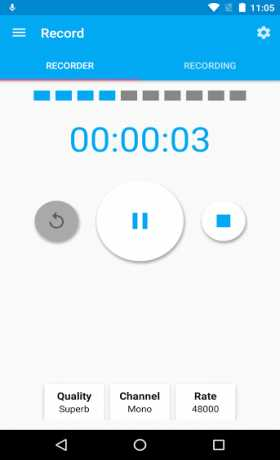 It is the only recorder on Android that allows you to rewind while recording. It also allows you to merge, trim, and convert audio files, mix two audio files, boost or reduce recording volume, add echo, adjust pitch and speed. 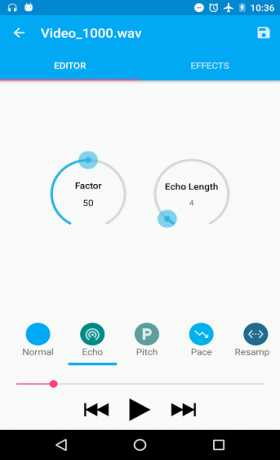 You can easily change your voice, preview the sound and save it to files. 1. record high quality audio file in wave/pcm/wav format, and aac/m4a format. 2. pause and rewind recording for wave/pm/wav format. 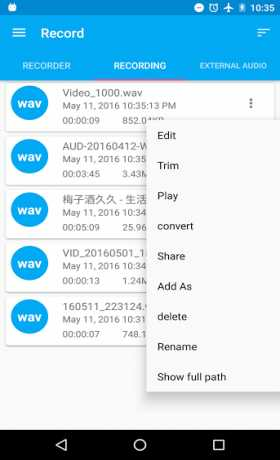 2. convert recorded audio file to pcm/wav and aac/m4a formats.